Fifteen-year-old Ryan is not unlike your average teenager. He loves shopping. So, when the Hollywood, Florida resident, who battles severe Crohn’s Disease, was asked to Make a Wish®, Ryan immediately thought of Aventura Mall. 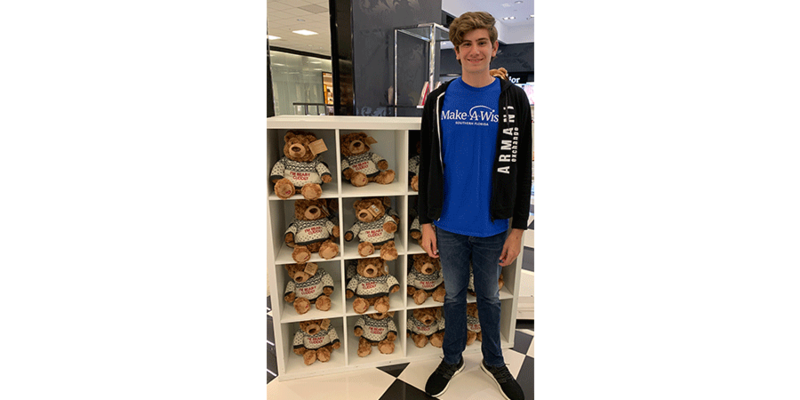 Aventura Mall was proud to grant Ryan’s wish with a shopping trip that included stops at Gucci, Apple, Hollister, Champs, Macy’s, Bloomingdale’s and Abercrombie & Fitch, as well as a delicious meal at Bella Luna. The shopping trip was coordinated by Make a Wish® Southern Florida, Inc., a local affiliate of the nonprofit Make a Wish®. Several retailers surprised Ryan with additional goodies, such as gift cards and jewelry. Ryan also stopped at the Disney Store to pick up gifts for his sister, revealing his big heart and giving nature. On average, Make a Wish® grants a wish for a child or teen battling a critical illness every 38 minutes. Every experience is driven by the wish kid’s interests, creativity and personality. Clearly, Ryan loves to shop Aventura Mall! The mission behind the wishes: to give young patients the courage to comply with their medical treatments, help parents feel like they can be optimistic, and find a way to make the world a better place. Fulfilled wishes have been recognized by healthcare professionals, families and volunteers for improving health status, enhancing state of mind and strengthening communities. 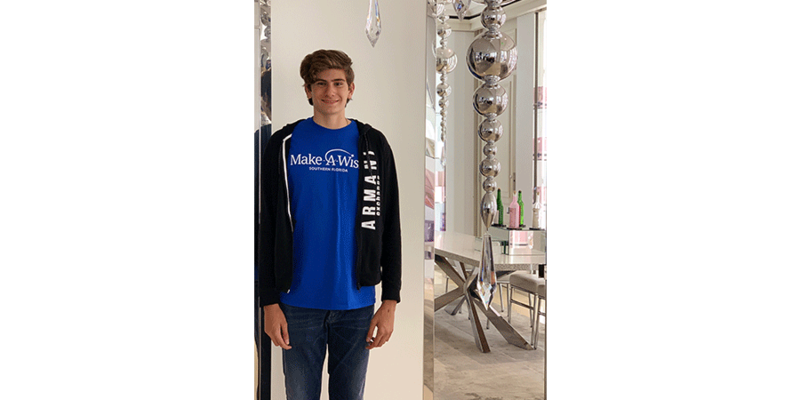 Aventura Mall was honored to have been a part of Ryan’s wish fulfillment and proud to have partnered with Make a Wish® Southern Florida. For more information on Make a Wish®, visit wish.org.